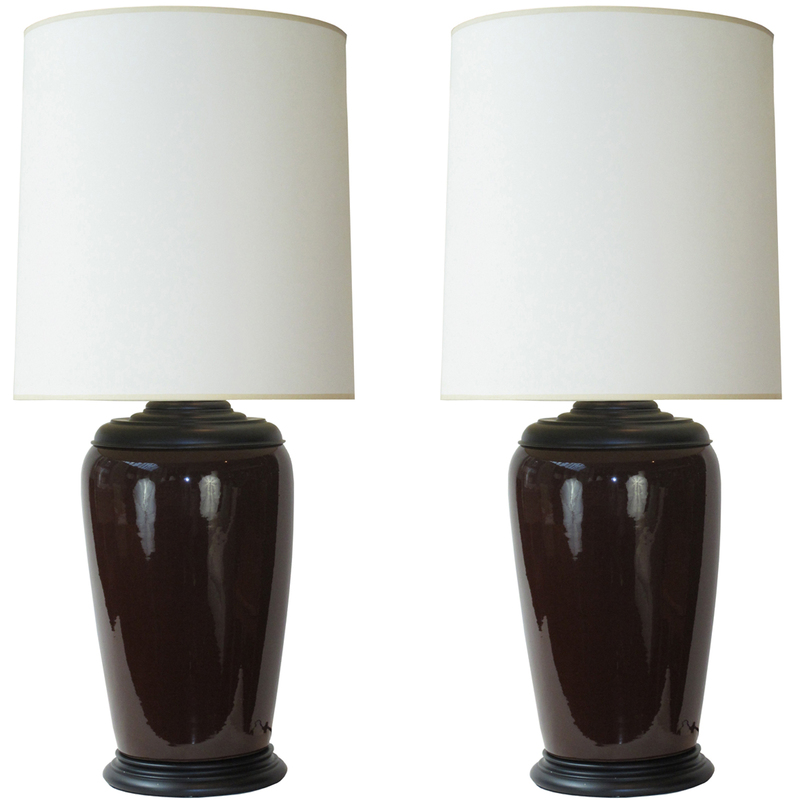 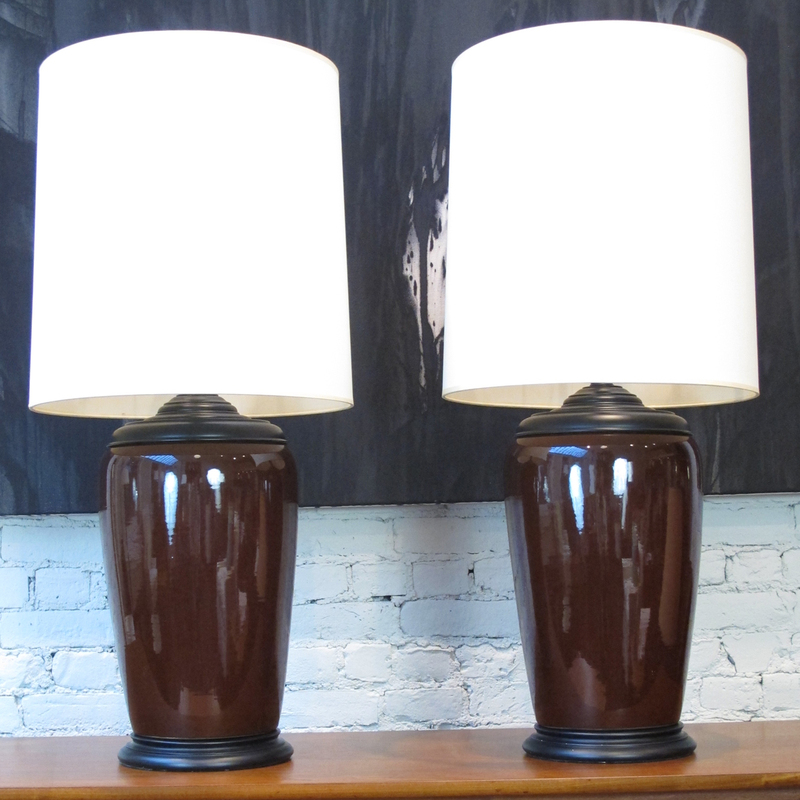 Pair of table lamps with brown porcelain jars on black lacquered wood bases and lids. Newly rewired with darkened brass hardware and silk cords. 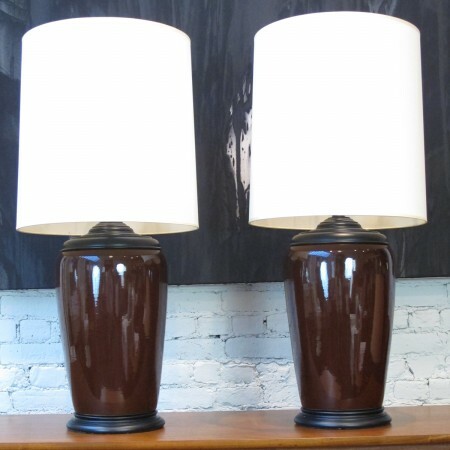 Shown with shades that are 16″ diameter and 17″ high. 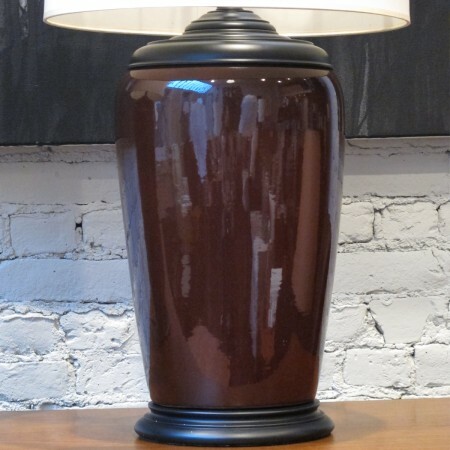 Height given below is to the finial, the bases are 18″ tall. 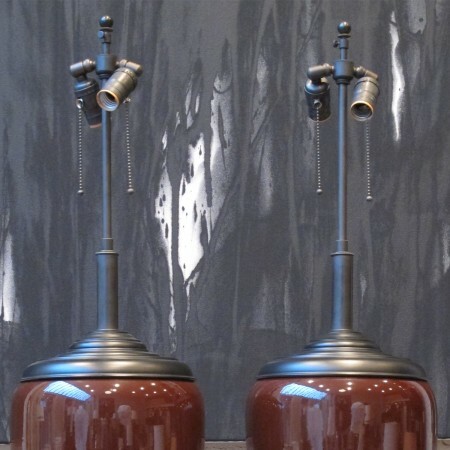 The price is for the pair.